"Journey of anime and manga". 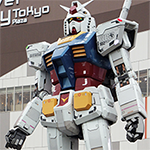 Three sisters "Meguru" "Hijiri" and "Reiko"
Find many Animes when you go to Odaiba! Hanno City "Encouragement of Climb"
This caused a lot of attention gathered to this series. 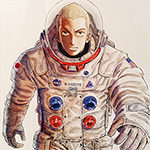 As a memorial for this wonderful series, there is a special exhibition of The Space Brothers in The Museum of Kyoto. 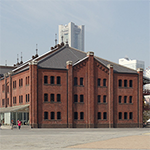 This exhibition was opened from July until September 2014. Let’s take a peek of the inside of this exhibition! "Watamote" / "Watashi ga motenai no wa dou kangaetemo omaera ga warui!" , "A Certain Magical Index�U", "Hataraku Maou-sama" , "Eden of the East" , "Darker Than Black"
It’s been a long time. This time I’ll introduce you the place called Shinjuku! When you hear Tokyo, the places you will think of are Akihabara, Shinjuku, Harajuku, Ginza, Ikebukuro. Foreign otaku often hear “Kabukicho” which is a popular red light district in Shinjuku. n these mangas, there is one similiarity. I guess all of you have realized it. Yes, it was the existence of “Koshien”. 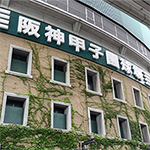 Koshien is the dream of each senior high school baseball athletes in Japan. Well, let’s explore this place further! In Japan, Osamu Tezuka has become a legendary manga artist. He is one of Japan’s pride and his works are famous not only in Japan, but also very famous outside Japan. His works are highly appreciated all over the world. 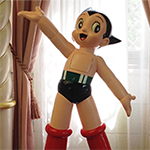 Because all of his achievements, The Osamu Tezuka Manga Museum was established in 1996 to commemorate him. This museum is a very interesting and fun place, and it can be enjoyed by both adults and kids. Let’s see the inside of the museum! Last year I was into this battle anime called “Chousoku Henkei Gyrozetter”. An anime about cars that can transform into robots (I know that Transformers do that too) but still it was really refreshing watching it. I really like the characters too especially Todoroki Kakeru. So, I decided to go visit Yokohama, which is the main stage of the anime. 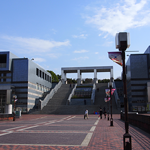 This time I went to Kami Igusa, the place which appeared in the opening of “Daily Lives of High School Boys” anime. I found out that Kami Igusa is promoted as the anime town when I searched in the internet. 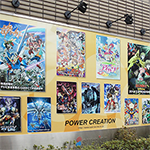 And, I was surprised that Sunrise (animation studio) is there too. I have loved the anime created by Sunrise since I was in elementary school. 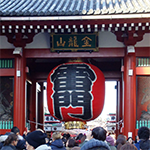 This time I went to Asakusa, the stage for one of my favorite sports anime which was broadcasted in 2010, Giant Killing. I was near Ochanomizu so I got on the train at Ochanomizu Station. Actually it didn’t take much time to go to Asakusa (roughly 10 minutes) but, I got off at the wrong station. This time I wandered far from Tokyo to Fuji Mountain. I suppose you guys can guess where I was heading. 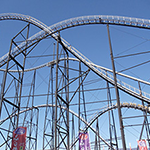 Fuji Q Highland, one of the famous theme parks in Japan. Before I go there, I decide that I will go there by bus, and buy the tickets. This time I went to Odaiba. 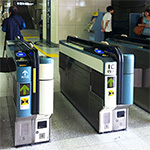 The subway route I used is Ayase Station - Kokkai-gijidou mae Station – Tamaike sanou Station – Shinbashi Station – Daiba Station. There are other routes but, this is the most convenient one if you start from Ayase. When I arrived at Odaiba, the first thing I thought was that Odaiba is a beautiful place… but it was cold!! If you are a person who is not adapted to the cold like me, I don’t really recommend if you go there in autumn or winter. It would be perfect in spring or summer. 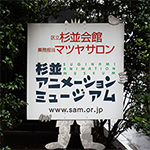 My Lone Journey to Suginami Animation Museum. The story of the light novel (easy reading) animation series Oreimo (My Little Sister Can't Be This Cute) takes place mostly in Chiba. Oreimo (My Little Sister Can't Be This Cute) is story of a brother and a sister, Manami, a black cat and beautiful girls expressing and learning their mutual feelings by repelling each other. Since this story was quite a successful everyday-life based youth novel; such as no sword, no magic and no psychic, this increased the lightness (easy reading) in the novels. ”Sainto☆Oniisan” is a manga that is based on the idea of Buddha and Jesu taking holiday from being god and living everyday human life at a small Local town of Tachikawa in Tokyo Japan. This is a mega hit manga in Japan. It was made into a movie and released in May 2013. 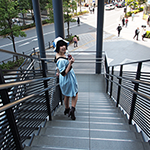 The story was set around Cinema Shopping street in Tachikawa and Tachikawa is illustrated in great details. Let's go to Tachikawa! 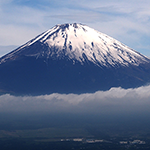 Mountain Climbing is becoming very popular in Japan. It is especially popular among young women. It is so popular that an animation about 4 student girls who are seriously into mountain climbing was created. 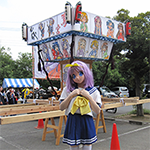 The animation is set around Hanno city in Saitama prefecture and girls generally climb either Mt. Tenran or Mt. Takao. This time we are going to introduce you Hanno City. 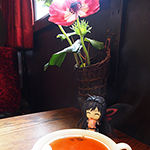 There, is a small town which did not used to be famous at all but because of a manga and a lot of animation, fans are now visiting and the town is revitalized. 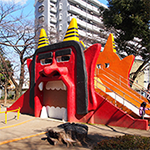 The lucky town is Washinomiyamachi (Currently called Kuki city), Satte City and Kasukabe City in Saitama prefecture. Everyone must have heard about Mega hit animation "Neon Genesis EVANGELION" or "REBUILD OF EVANGELION". All the series of EVANGELION is located on Hakone. "STEINS;GATE" is science fiction. 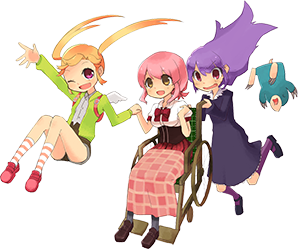 The main character is a university student who is heavily suffering from Chu-ni-byo. The story is set in Akihabara, where the place itself is the pit of Chu-ni-byo. Yes, Akihabara is a chu-ni-byo town. It is close to Shijuku and living cost is quite reasonable. Most of the houses are relatively cheap to rent, there are a lot of casual eating places suited for young people, many ornament shops, wardrobe dealers, secondhand bookstores and Live houses and theaters. Drinking places are open from early hours, this is a town of good youth and freedom. Panzer vor in Oarai, Ibaragi. Oarai, a town in Ibaragi prefecture,is getting(becoming) a very hot spot because of the animation "GIRLS AND PANZER". This is the same town where the story takes place in the animation. On March 24th "The Ocean Music Festival" was held there and over 50,000 people visited Oarai. Most of them are fans of "GIRLS AND PANZER". Magic and ESP crosses over Tama New Town! 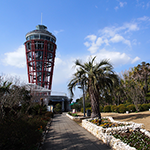 In 1965, 3,000 hectare of Tama hillside forest was cut cleared and a large city complex Tama New Town was created. 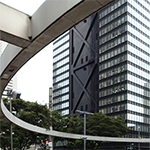 The city plan of multiple tall buildings and estate complex was a symbol of rapid Japanese economic growth. 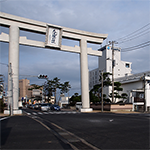 The story of an animation series "A Certain Magical Index" was developed over Tama New Town. Artificially designed "Tama New Town" but well deserves the name of "Academy city". 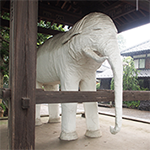 The ancient capital Kamakura became the story location of many Manga and Animation. Sho-Nan area, the location of manga "Slum Dunk" and "Sweet Blue Flowers (Aoi Hana)". 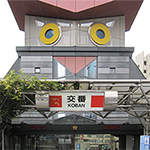 Kita-Kamakura city, the location of the light novel "Biblia Koshodou no Jiken Techou", and Enoshima in Fujisawa city is the location of animation "Tsuritama" and "TARITARI" - they are all practically located in the same regions. Let's take a manga-full trip in one day!